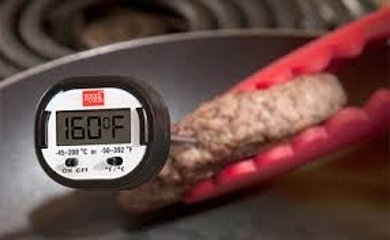 The general purpose of this article is to know about important of thermometers. Nowadays, the digital thermometer has almost completely replaced liquid and gas thermometers in the consumer marketplace. A thermometer is a device that measures temperature or a temperature gradient. A thermometer has two important elements such as a temperature sensor in which some physical change occurs with temperature, and some means of converting this physical change into a numerical value.